An Import Permit into Kenya is usually valid for a minimum of 30 days from date of issue, and must be obtained through an Authorized Agent in Kenya or from the Kenyan High Commission in the country of origin. The pets’ ORIGINAL up-to-date vaccination card showing Rabies innoculation having been received within 12 months but not less than 30 days prior to travel. Pre- and post-travel boarding. This gives you time to get settled in your new home, locally or abroad, such that you are ready to receive your pet(s) when they arrive at a later date. Blood tests if required by destination country. Information on requirements by relevant authorities. Preparation and coordination of all the necessary travel documents/paperwork. Collection and delivery of your pet from and to the necessary Nairobi airport from the kennels. Everything channeled through experienced and efficient Clearing Agents at the airport. Preparation of suitable, comfortable travel crates (plastic / wood); design regulated by airline and destination country. Microchip insertion - Pet ID is compulsory for most destinations abroad these days. Even better, we are now the first Members of IPATA (International Pet and Animal Transport Association) in Kenya. This means that, as shippers, we are conversant with the Live Animal Regulations, and conform to these to ensure to the best of our ability the safe arrival of your pet. We appreciate that the transportation of Live Animals carries enormous economic, health and welfare and ethical implications. Therefore we are prepared and experienced on the different needs of each animal and any special handling procedures to ensure every precaution is taken that your pet is transported safely and efficiently. 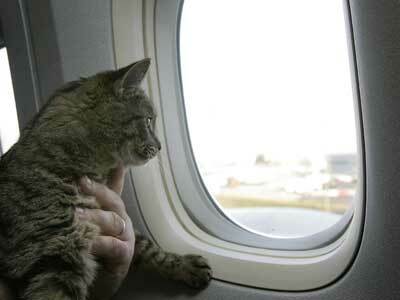 If your pet(s) do not need boarding services before travel (i.e. you are travelling with them on the same flight and will be taking them to the airport yourself), then it is better that you deal directly with a shipping agent in Nairobi who will guide you through the requirements for travel - we can advise you of some more reputable companies to use such that your animals will be in good hands. The following is a 'guideline' for the necessary requirements for getting your pet in and out of KENYA. However, there may be special requirements for your particular pet - therefore it is very important to confirm this with your agent or us at Yapperville before finalizing your arrangements.